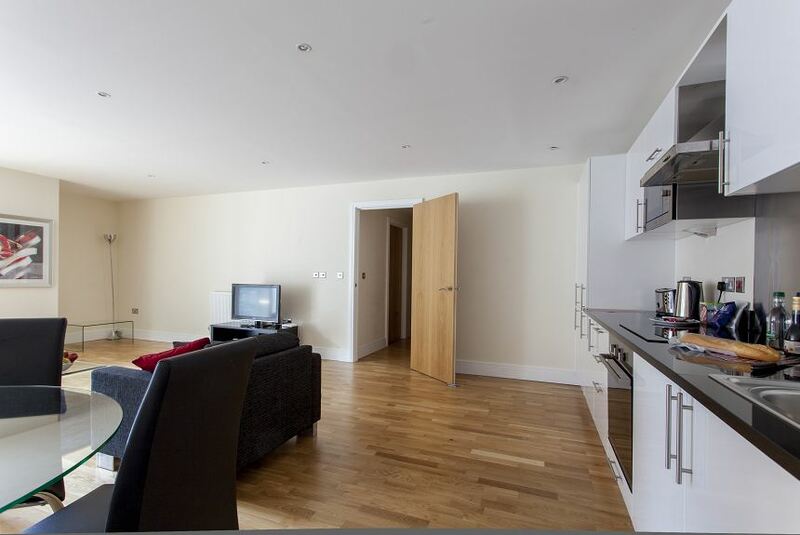 Our elegant serviced apartments in in Lanterns Court are the perfect choice for your stay in Canary Wharf. They exhibit both style and comfort; exactly what you need to have a successful trip. Inside you will find all the outstanding features that make serviced accommodation so popular. You'll have a fully equipped kitchen at your disposal where you can show off your inner chef and host a few guests. The flat screen TV and comfy furniture are a great match for when you want to kick back after a long day. The complimentary Wi-Fi will enable you to browse the web and stay in touch with friends and family, while the walk on balcony will grant you a view of the area below, and maybe a sunset. Finally, the beds have the finest linen that will have you asleep and recharged for the next day in no time. A dedicated and efficient guest services team will be available 24/7 to give you all the assistance and advice you need throughout your stay.